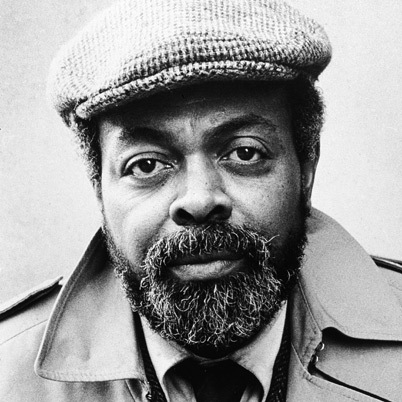 LeRoi Jones, aka Amiri Baraka, has died. As a white, middle-aged woman living on the West Coast, I have nothing in common with the African-American male, beat poet and political activist, who, after the death of Malcom X changed his name to Amiri Baraka. But here's where poetry bridges, rather than divides. When I met Baraka, I was 21, alone, broke and living in New York. Searching for free entertainment between a (unpaid) college internship and a ticket-taker gig at the Metropolitan Museum of Art, I spotted a few lines in the Village Voice announcing a poetry reading. It was one of those early-dark evenings and, not a skilled navigator, I walked in circles until I found the address — which, it turned out, was a tony Upper East side home. A private home! What was I doing here, in an intimate and well-appointed living-room like setting? I didn't know much about poetry, and had been to only one reading (a dim coffeehouse, wrenched in creative desperation). I don't remember many specifics — what he read, wore or said — just that we sat, audience style, in rows of upholstered chairs, and he filled the room with a poetic and powerful radiance. No joke. He had presence. And it didn't matter that I was young, white and poetically and politically naive. I was moved; In that room, I felt the power of poetry. A few months later, my internship concluded, I headed back to college in Colorado. With poster board and magic marker, I copied the lines above, and fastened them, wall-to-wall mural style, to my spare studio apartment. Although I didn't "get" the poem, those words stirred me, made me want to push into that mysterious and lofted space where language, message and emotion so beautifully mesh. Thank you, LeRoi/Amiri, for opening the door. At 11, Let's Pretend/&we did/& I, the poet, still do. Thank God! It's Thankful Thursday (err, Friday), a weekly pause to appreciate the people, places and things in our lives. What are you thankful for today?